Bit of a weird one to review, this. Essentially the second half of a lengthy instrumental Funk Brothers jam taken from the novelty Twist LP Twistin’ The World Around with the Twistin’ Kings, I’ve already said almost everything there is to be said about it when talking about the A-side, Congo (Part 1), the first half of the album track. Finished? Excellent. Welcome back. Right, “Part 2”, which is most of the final three minutes of the extended jam Congo Twist as heard on the LP, is longer and more raucous than the opening two minutes used on “Part 1”. It opens, artlessly, completely cold; literally as if you’ve just dropped the needle on the album at random, and the best part of a minute after the “Part 1” excerpt on Side A had faded out. Turns out, though, that the choice of starting point for “Part 2” wasn’t purely random; this is where we pick up the vocals. Well, I say “vocals”, I really just mean “voices”. This is an instrumental, but the second half of it – including the bit used here as “Part 2” – features various background hollers, whistles, shouts and pseudo-African chanting (presumably from the Funk Brothers themselves during the recording, though it’s impossible to know for sure), most notably a series of primitivist “Bubalubaluba!” interjections at 1:02, and a half-scream at 1:49 when the piano kicks back in following another great Benny Benjamin drum solo. Once again, the limitations of a turn-of-the-decade 7 inch, 45rpm vinyl single, and the presumed attention span of the average early-Sixties disc jockey, combine to cut the fun short. It’s just short of three minutes long; almost a minute longer than “Part 1”, but still too short, as there’s another brutal fade to bring proceedings to an end just as the party’s really getting started. A pity. 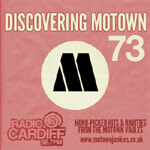 If the technology and Motown’s budget had allowed for an EP or a 12″ 45 single, this might have been one of the great early Motown treasures; instead, hacked peremptorily in half and parcelled into chunks too small to sate the appetite, it ends up little more than an unsatisfactory promo for an album you can’t now physically buy. Still, this was Motown’s final release of 1961, and it marked a both a turning point and the end of a highly successful year for the company. No longer just another black indie label struggling to survive, Berry Gordy’s enterprise was now a stable, secure and significant (if still relatively minor) player in the music industry. The following year would see Motown consolidate its position, building on their success by adding a few more key ingredients to the ones already put in place during these shaky formative years. The results would take Motown forward into its mid-Sixties Golden Age.